For the second straight year, Chris Jericho will be wrestling in a no disqualification match at Wrestle Kingdom. 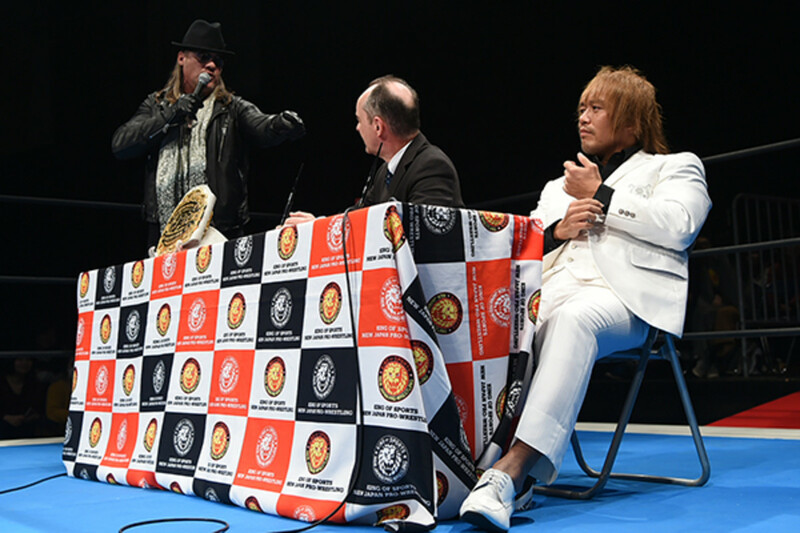 A no DQ stipulation was added to Jericho's IWGP Intercontinental Championship defense against Tetsuya Naito during an angle at NJPW's pre-Wrestle Kingdom 13 Fan Festival. Jericho vs. Kenny Omega at last year's Tokyo Dome show was also a no DQ match. The stipulation was set up during a contract signing for Jericho vs. Naito. Jericho said he wanted it to be a no DQ match, and Naito accepted by writing "no DQ" on his contract. Jericho then attacked Naito and powerbombed him through a table. Jericho won the IWGP Intercontinental title from Naito at Dominion 2018. Jericho defended the title once last year, defeating EVIL at Power Struggle. Revolution Pro Wrestling Undisputed British Heavyweight Champion Tomohiro Ishii defending against Zack Sabre Jr.